SkyWest’s ninth annual Fantasy Flight took of this weekend in Colorado Springs, bringing the Christmas spirit to underprivileged children and their families. 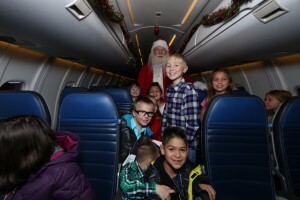 This year, more than 40 children were able to participate in the Fantasy Flight where they took a 30-minute flight from Colorado Springs Airport (COS) to the “North Pole” (Gate 11 at COS). There, the little passengers were greeted by Santa Claus himself, who presented gifts to each child in attendance. The night also included dinner for the children and their families, as well as appearances from local Olympians and Sox the Fox, photos with Santa, a petting zoo and more! 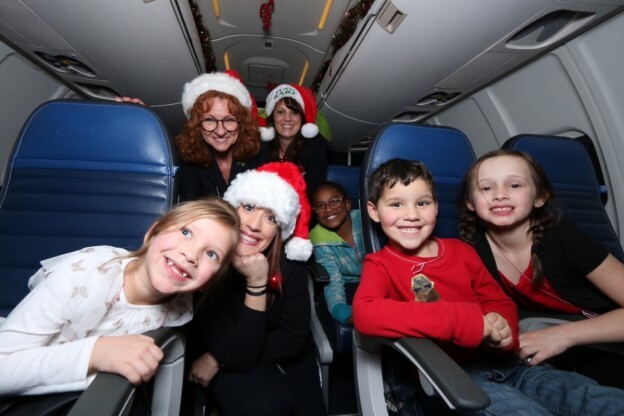 What makes this SkyWest tradition even better is the incredible efforts of the employees and members of the community who volunteer to make the entire night special for everyone involved. In fact, the aircraft, fuel, gifts, dinner and more is all donated to the event. And seeing the excitement of the kids involved makes it all worth it. Children aboard the Fantasy Flight are enrolled in the Community Partnership for Child Development early childhood education programs. These children live below the poverty level, have an identified special need, or have a home situation that puts them at risk for school failure. To learn more about the organizations SkyWest partners with to make this event possible, visit www.jlcoloradosprings.org and cpcdheadstart.org.